Plug Into a New Adventure with Chibi-Robo! 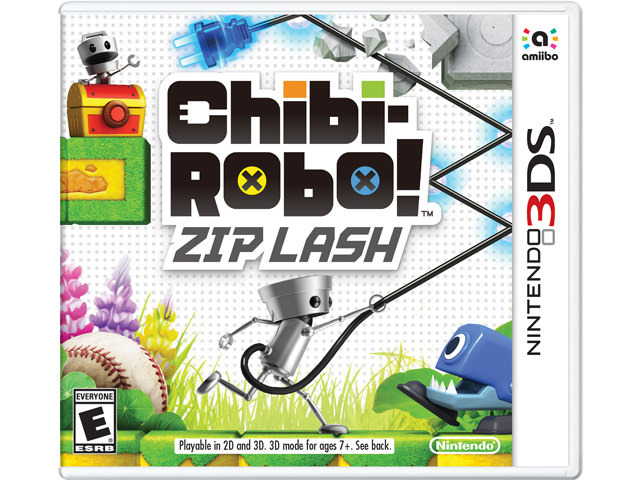 Chibi-Robo!™ Zip Lash comes to the Nintendo 3DS™ system with a fresh, new take on the franchise. In this side-scrolling game, Chibi-Robo uses his plug and cord to whip enemies, grapple onto ledges, and swing across chasms. Power-up the plug and cord to search for collectables and explore previously out of reach areas. This game is compatible with amiibo™*. Just tap in an amiibo accessory to score new characters, game modes, or other perks! * amiibo sold separately. Compatibility and functionality of amiibo may vary per game.